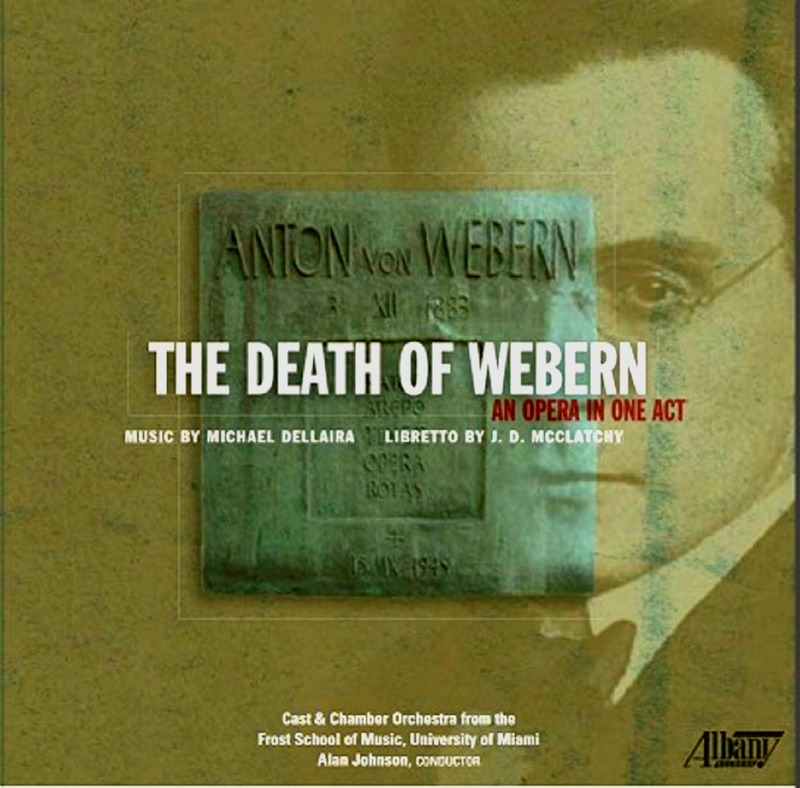 Albany RecordsThe obsession of musicologist Hans Moldenhauer to uncover the truth in the killing of composer Anton Webern by American soldiers in 1945 drives the story behind The Death of Webern, the second collaboration between composer Michael Dellaira and librettist J.D. McClatchy. Webern's brief, luminous compositions altered the course of 20th century music and Dellaira's score contains some wonderful moments of homage. “moving, taut … affecting. A wonderful Webern-like economy characterizes Dellaira’s score, not just in the orchestration for chamber ensemble but also in its intensity. The music is concentrated and spare, with a wide range of feeling communicated by the attenuated phrases that flit about the longer vocal lines. ” – Sudip Bose, “Incident at Mittersill”,The American Scholar, Winter 2014. This world premiere recording now available fro from Albany Records is performed by a cast and chamber orchestra from the University of Miami's Frost School of Music, conducted by Alan Johnson. Kevin Short; Eric McConnell; Chris O'Connor; Tony Boutté Zaray Rodriguez; Mia Rojas; Ana Collado; Adam Cahill; Mario Almonte; Jeffrey Williams; Maria Fenty Denison; Carl DuPont; Esther Jane Hardenbergh; Frost School of Music Chamber Orchestra; Alan Johnson, conductor.